Modern oil paint preparation was devised during the 15th century when "Flemish painter Jan van Eyck...develop(ed) a stable medium based on linseed oil," according to an article from Chemical and Engineering News. Precursors to oil paint include encaustics (beeswax and pigment) and tempera (egg, oil and pigment). 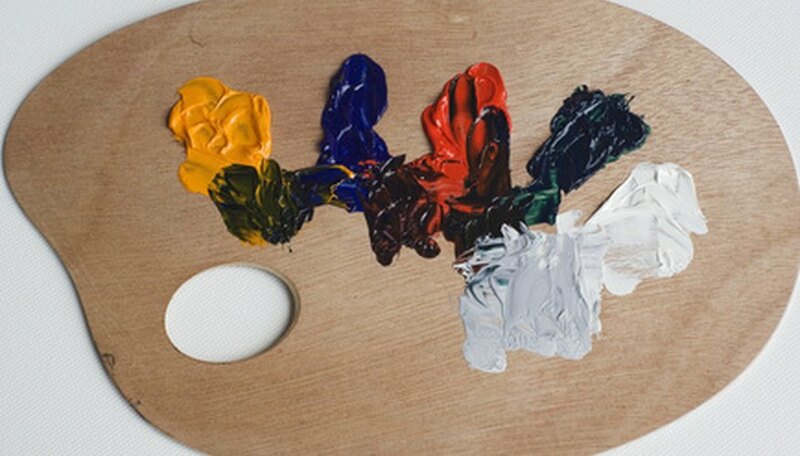 Today's oil paints include at least some form of pigment, oil as binder, and filler. Pigment is what provides color to the paint. The more intense and long-lasting the pigment, the higher the quality of the paint. Among the most trusted sources of pigment through the centuries have been cadmium for red and yellow and cobalt for blue, according to the Chemical and Engineering News article. Today, cobalt can also be used to create violet, green, yellow, and black paint formulations. In early Mediterranean civilizations, "oxides of iron, copper, and manganese" were used in encaustic paints, according to the C&EN article. Today, iron oxide is still used to create a range of hues. In fact, according to realcolorwheel.com, iron “makes the most complete color wheel of all the elements.” Because iron “resists lyes, sulfur and acids,” it can be mixed with other elements and/or heated to create colors such as Prussian blue; yellow, red or brown ocher; sienna; violet and even eggplant. Lead is another versatile mineral pigment, creating a very stable, pure white, according to realcolorwheel.com, which can also be achieved by adding hydrogen peroxide to lead. Because of health and safety concerns, use of lead in paint is restricted today. Other minerals are, however, still in use as pigments: Copper oxide yields various shades of green, and manganese produces green, blue and violet. Magnesium was used to create yellow in 15th-century India. Today, it is used mostly in combination with other minerals, such as zinc, iron and titanium, to create "a wide range of whitish, highly durable turquoise, green, yellow or red pigments," according to HandPrint.com. The second most critical component of oil paint is the oil that binds the other ingredients together. Van Eyck might be delighted to learn that linseed oil is still considered “the strongest binding vehicle used in oil painting,” according to OldMastersMaroger.com. In addition, artists of today often add to factory paints “polymerized linseed oil ... to make the paint more fluid or adjust the drying time.” Oil paints may also be formulated with walnut, poppy seed or safflower oil. Oil paint formulations also include agents to lend body to the medium. Among them, according to the Chemical and Engineering News article, are “aluminum stearate, other metal soaps, and waxes” in addition to “marble dust or calcium carbonate.” Many modern artists keep waxes on hand to thicken manufactured oil paints.